We’ve compiled a list of the questions you might have about the 2019 U.S. Open Championship. To jump to the section you’re most interested in, simply click on one of the links directly below. What are the dates of the 2019 U.S. Open Championship? The U.S. Open Championship will take place June 10-16, 2019 at Pebble Beach Golf Links. Practice rounds will be Monday, June 10-Wednesday, June 12, and Championship Rounds will be Thursday, June 13-Sunday, June 16. I would like to make a guest room reservation at Pebble Beach Resorts during the U.S. Open. How can I do that? The best way to secure guest rooms at Pebble Beach Resorts is by purchasing a corporate hospitality package, many of which include priority access to hotel rooms. Presently, most of our guest rooms are allocated to players, officials, and corporate hospitality customers. No rooms have been released for individual sales at this time, although a wait list has begun. If rooms become available, they will be offered at the published rates and require a 7-night minimum stay from Monday, June 10 – Monday, June 17, 2019. Guests who are on the wait list will be updated as to their status in April 2019. Please call (800) 654-9300 and request to be added to the U.S. Open waitlist. When and where can I purchase tickets for the 2019 U.S. Open? Tickets are now available for purchase. You can purchase tickets at usopen.com. Further ticket questions can be directed to [email protected] or by phone at (800) 698-0661. I am interested in purchasing corporate hospitality for the U.S. Open, or have a large group that would like to learn more about hospitality options. Where can I find further information? There are several corporate hospitality opportunities available. View all opportunities. For more information, please contact Tim Ryan, Chairman, Corporate Hospitality Sales, at (831) 647-7406 or [email protected]. I am interested in being a 2019 U.S. Open volunteer. When does registration begin and where do I register? For more information about volunteering at the 2019 U.S. Open Championship, visit https://2019volunteers.usga.org. For any questions, please contact the USGA Championship Office at [email protected] or Margo Daniels, Volunteer Chairman, at (831) 625-8556 or [email protected]. I would like to apply for temporary employment during the U.S. Open. What are the steps? Pebble Beach Company will hire approximately 700 temporary employees for Championship Week, and partnering concession, transportation and security companies will also hire. More information will be posted soon about the application timeline and process. When does U.S. Open merchandise go on sale? Merchandise bearing the 2019 U.S. Open logo is currently available in the U.S. Open Retail Shop at Pebble Beach Resorts, located at The Lodge at Pebble Beach. How close to the U.S. Open can I play Pebble Beach Golf Links? 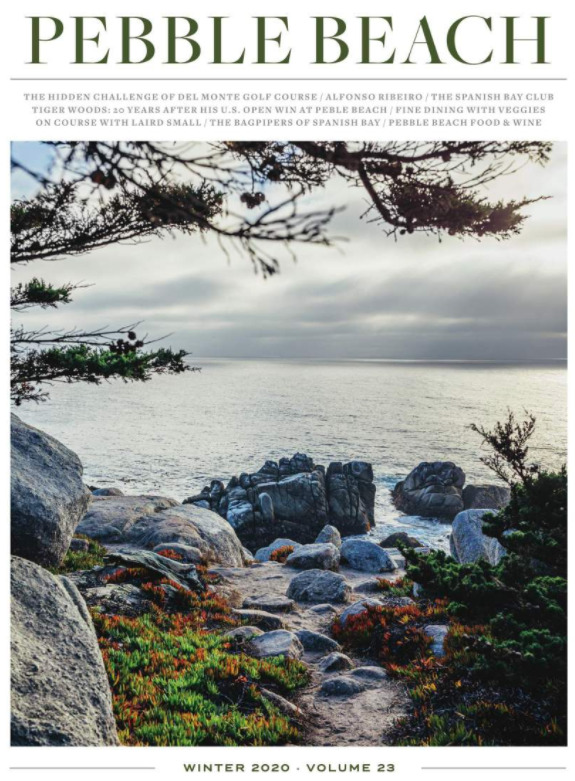 Guests who have reserved guest rooms at The Lodge at Pebble Beach, The Inn at Spanish Bay or Casa Palmero can reserve tee times based on availability through Wednesday, June 5, 2019. Following the U.S. Open, Pebble Beach Golf Links will re-open to resort guests on Tuesday, June 18. What golf opportunities will be available during Championship Week at Pebble Beach Resorts? Spyglass Hill Golf Course and The Links at Spanish Bay are both available during Championship Week, as is Del Monte Golf Course. You can reserve tee times beginning Monday, April 1, 2019. Is 17-Mile Drive open to visitor or tour bus traffic during Championship Week? No, 17-Mile Drive will be closed to both car and bicycle tourists on June 9-17, 2019. It will reopen to tourists on Tuesday, June 18, 2019. Are Pebble Beach Resorts shops and restaurants open during Championship Week? At The Lodge at Pebble Beach, retail shops will be open to those with U.S. Open tickets only. Stillwater Bar & Grill, Terrace Lounge and The Tap Room will be open to Lodge Premier Ticket Holders, and reservations are encouraged. Gallery Cafe and The Bench will be used as corporate hospitality venues, and will be closed during Championship Week. At The Inn at Spanish Bay, all restaurants and shops will be open during Championship Week; restaurant reservations are strongly recommended. Will The Spa at Pebble Beach be open during Championship Week? Yes, The Spa at Pebble Beach will be open. For tournament information, please reach out to [email protected] or call (831) 625-8419.